I keep reading reciprocal linking is worthless (from a Google ranking perspective) from so called SEO experts, but they never supply proof. It’s all supposition, not actual scientifically collated evidence. I don’t do too many reciprocal links (not in the classic sense anyway), but many of my own websites link back and forth (a LOT) and they do great in Google because of it, some of my websites ONLY have reciprocal links from my other websites and my sites see over 20,000 unique visitors a day. If reciprocal linking was some how downgraded I’d see many of my websites traffic decreasing because my sites link back and forth so much (all the links would be worthless). Yet my traffic keeps increasing on sites not using affiliate content (thin affiliate sites die traffic wise no matter how many links). What I think is happening here is a problem with classic reciprocal linking giving the impression reciprocal linking is worthless. Other than PageRank (PR) the pages below are all equal with 10 links in total from each page. 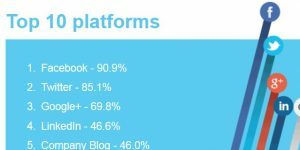 Overall gain/loss in PR to either site negligible. Small increase to ranking due to having a backlink using relevant anchor text (assuming the anchor text is good). 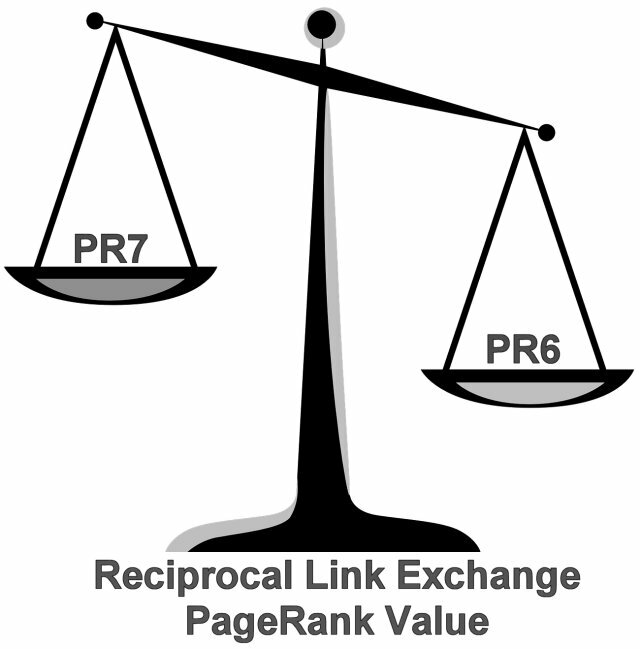 Page B gains PR/link benefit. Page A’s site loses PR/link benefit. Both gain due to anchor text, but Page B also gains a little PR (not much though because it links back) which helps at the expense of Page A. Both gain due to anchor text, but Page B gains a massive amount of PR/link benefit which helps a LOT. Next update Page B might be PR6, however the site Page A is on just lost the equivalent of a PR6 page worth of PR which could decrease current SERPs because that’s like the site just lost a PR6 page! How often can you setup a PR7 reciprocal link to a lower PR page of yours though? Not very often, so most reciprocal links result in little link benefit passed. 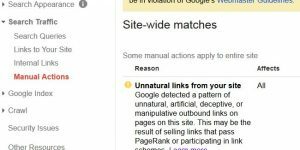 This doesn’t mean Google downgrades reciprocal links, it’s the nature of reciprocal linking. You can find websites that have hundreds of reciprocal links with just a PR4 home page because they give away as much link benefit (PR) as they gain. Note: With any linking arrangements that result in an increase in PR it’s going to take over 9 months for the transferred PR to show full ranking benefit, see Google Sandbox Effect, and so you have to keep those new backlinks for a year to see significant ranking benefit. By that time the webmaster won’t associate any traffic gains to what they did a year ago. Page A’s site loses PR. If Page B gets a fair number of these one way links it’s PR will increase a lot faster than a similar number of reciprocal links. Page B gains a lot of PR/link benefit. Page A’s site loses a lot of PR. Page B only needs one link like this to go to PR5 and probably PR6 next update. Like reciprocal links it won’t help with Google ranking until the backlinks have aged at least 9 months to a year. Because it’s not reciprocal all that gained PR will go to other pages on the site and not be partially sent back to Page A. That is not to say you can’t make reciprocal link exchanges work for your website, take a look at the Example Reciprocal Link Exchange PR Calculations, here you will find the SEO tools to calculate how much link benefit (relatively speaking) a specific link exchange will pass to your website and your link exchange partners website. It is possible to gain significantly more link benefit from a lower PageRank webpage than yours IF your partners website has few links (internal and outbound) links from a webpage you are exchanging links with. 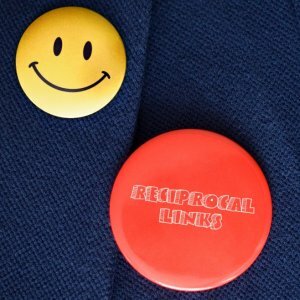 In conclusion reciprocal links are not ignored by Google, but by the same token don’t expect miracles from a handful of reciprocal links, chances are you are sending away as much link benefit as you gain. I am Completely agree with you. Google give the importance of reciprocal links. but be care full from FF and buying links from pages not to related your niche. I like your post as it generates questions which generates learning. In the post you mention that a page looses rank when it links to another page. Is that just a figure of speech for purposes of comparison or does a site actually lose ranking (albeit just a little bit) for every link it gives out? That offers multiple impressions from a diverse pool. Reciprocal Links form a vital part of any website promotion. A good strategy is to be implemented to establish reciprocal links. It is a mutual link exchange between two websites. Thanks and really enjoyed browsing your site. I tend to see quite a bit of your info on Twitter but must admit to being a total dweeb when it comes to SEO. I’m a sales consultant and many of my clients are completely confused by everything/anything SEO related.